"CHILDREN COME FIRST, LOS NIÑOS SON PRIMERO"
Mr. Gene Bouie is the President of the Trenton Board of Education and he brings over 40 years of leadership and management experience to the role. Mr. Bouie’s related experience includes serving as a Senior Director at Educational Testing Service, a research based non-profit with a mission of advancing quality and equity in education. In his role as Senior Director, Mr. Bouie’s business area was responsible for assisting colleges and universities effectively measure learning, drive student success and support institutional effectiveness. Mr. Bouie possesses an Associate degree in Political Science and a Bachelor’s degree in Social Sciences. Mr. Bouie was over 50 when he earned his first degree. He is also Six Sigma Greenbelt Certified and hopes to apply those skills to identifying and improving the delivery of education services. Mr. Bouie has lived in Mercer County for over a decade and a resident of Trenton for the past seven years where he stays involved in many community activities, particularly those involving young people. 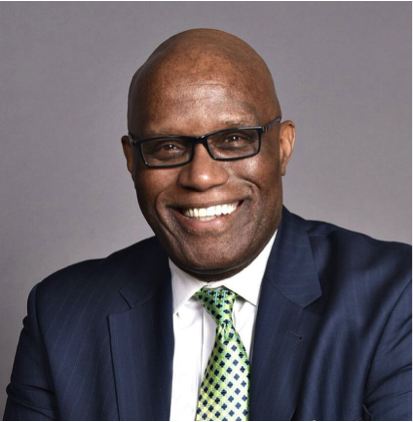 He currently serves as a Trustee for the Trenton Area YMCA and is an Advisor to the Executive Board of the African American Cultural Collaborative of Mercer County. Mr. Bouie is passionate about education, beginning from early childhood all the way through to post- secondary education. His goal is to ensure that all Trenton students receive an excellent education, ensure that the manner in which learning and growth are measured is fair, valid and reliable. Finally, and just as important, that every student has the opportunity to live up to their potential and live productive and successful lives. Mr. Bouie believes that the District mission should drive our work, which is to serve the children in the District with achieving academic success. © 2019. Trenton Public Schools - All Rights Reserved.